I wanted to know pro-grammatically via C# when my OneDrive was “Up To Date” or not. I wondered if there was an API, and sure there is, see here for Live One Drive API. I am not a One Drive API expert, but all the examples seemed to be specific for mobile applications and not for say Windows 7 or Windows 8. I also have a drop box account, again if I wanted to know when its “Up To Date”, another API to investigate ! 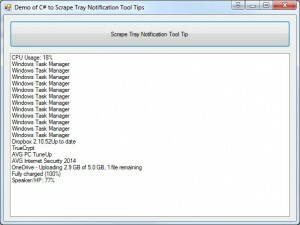 I then read on forums other people looking to do similar things with Drop Box and One Drive etc, and talk about scraping the data from the Tool Tip from the Tray Icon. Very Cunning ! 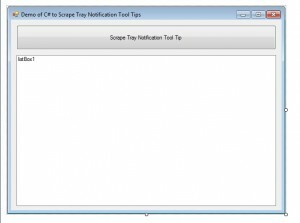 I saw a few posts about the ability to scrape from the Tool Tips, but not a complete demo example / solution. After lots of digging around the Internet with some fantastic input from others, I managed to piece it all together and get this working. 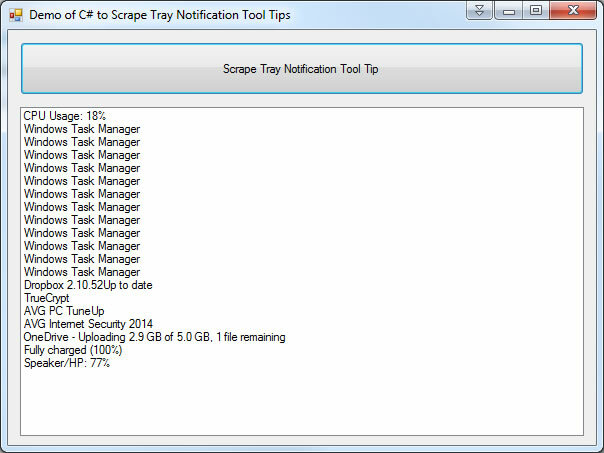 In the image below you can see we read from the Tool Tip that OneDrive was uploading a 5GB file, 2.9 GB was completed. 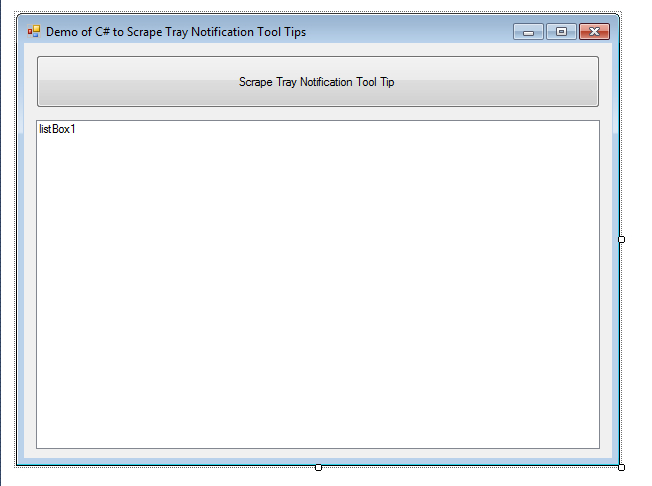 Scraped Tool Tips From the windows Notification / Tray Area. Complete code below (and downloadable project). //many thanks to Paul Accisano for finding out the nitty grtty on this struct.